Brightly colored cranes are in flight at the Harn of Museum of Art. As part of the new “Shared Hope” exhibition, the origami birds made of intricately designed paper hang from the ceiling of the museum’s auditorium while dozens of photographs adorn the walls. “Shared Hope” is an exhibition of three distinct expressive practices that exemplifies the power of art to raise the human spirit as a response to illness, aging and death. 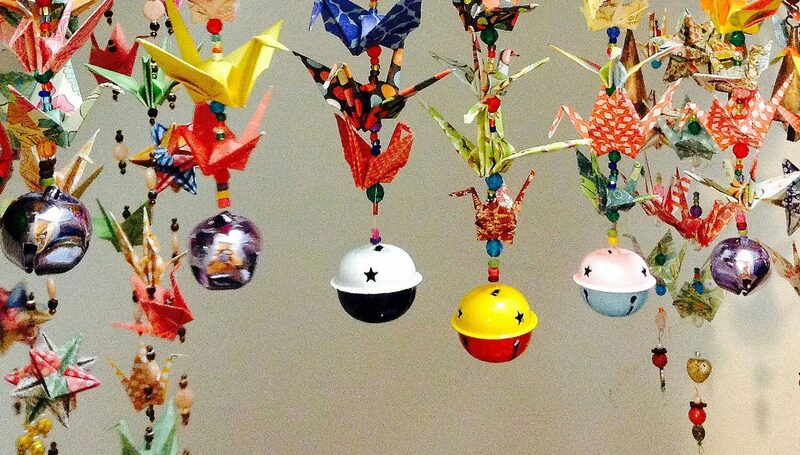 The origami cranes, created by Kathy Liu, accompany photographs by Stacey Steinberg and Joyce Pearson.